In 2016, religious institutions received $122.94 billion in charitable donations, which is more than double the amount given to the next nonprofit sector, according to a special report from Giving USA. The special report, “Giving to Religion,” takes an in-depth look at giving and provides analysis on essential changes taking place. It's packed with great charitable giving statistics! In their look at giving to religion, Giving USA discovered nine critical findings from data collected from the Philanthropy Panel Study (PPS). Though every conclusion is not pertinent to every church leader, there are five key takeaways for church leaders to consider. This comes as no surprise, but the frequency of worship service attendance influences how likely an individual or household will give. When it comes to giving, encourage the members of your church to participate in the life of the church. Over time, as the members of your church grow in Christ, then they will be empowered by the grace of God to become generous givers. Religious affiliation not only influences whether or not someone gives to a religious organization but it also significantly influences if they give and how much they give to other charitable organizations. For instance, households with a religious affiliation are 16% more likely to give to charity, and will, on average, give 228% more to charitable organizations than households without a religious affiliation. The age of a member of your church will influence who likely they are to give and how much. The highest percentage of people who give to religion are 65 and older (54%), whereas individuals under 40 are less likely to give (23%). Even though the likelihood of someone giving increases as they age, the amount someone gives peaks between ages 40 and 64, which suggest people in retirement on fixed incomes are not capable of giving as much as they once were. In general, “Americans with more education, higher net worth, and more income donate at higher levels when compared to those with less education, lower net worth, and lower income.” In other words, the community of a local church will — in general — influence how much a household will give. “Those attending smaller congregations were more likely to give than those in larger congregations,” reports Giving USA. From this observation, we can ascertain that smaller congregations foster a greater sense of accountability and personal responsibility to participate in the work of the ministry by giving. As a general rule of thumb, strive to make your church feel as small as possible. Encourage the members of your church and visitors to participate in smaller settings, such as Bible studies and small groups. From the key findings, one observation church leaders will see is that discipleship is paramount to leading the members of your church tobecome generous givers. If you want to build a generous church culture, then preach the gospel, encourage people to pursue Jesus, and encourage your members to participate in the work of the ministry. Now, as a church leader, one crucial factor to keep in mind that was not addressed in this special report is how people give. As of 2015, two-thirds of Americans owned a smartphone. People with smartphones carry out dozens of tasks every day on their phone — including banking, which is growingly true of younger and older generations. Make it easy for smartphone users to give by providing them with a text-to-give option or mobile giving app (Tithe.ly offers these two services and more with one easy to use platform). 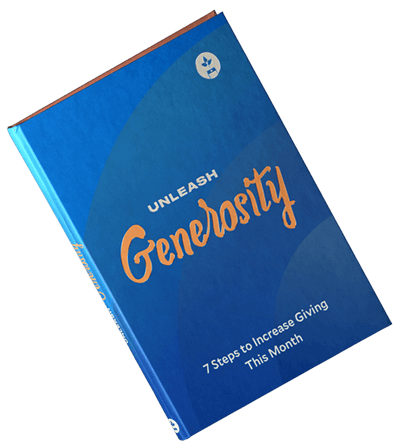 It will only be a matter of time until people primarily discontinue giving with cash or check, so get ready to help the members of your church transition to giving in the digital age.